This article is about the private university founded in 1890. For a list of universities in Chicago, see Universities in Chicago. For the public university in Chicago, see University of Illinois at Chicago. 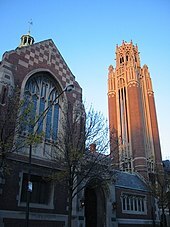 The University of Chicago (UChicago, Chicago, or U of C) is a private research university in Chicago. 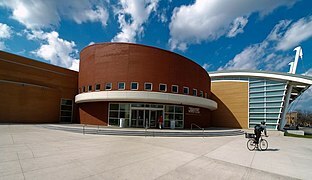 The university, established in 1890, consists of The College, various graduate programs, and interdisciplinary committees organized into five academic research divisions, six professional schools, and the Graham School of Continuing Liberal and Professional Studies. Beyond the arts and sciences, Chicago is also well known for its professional schools, which include the Pritzker School of Medicine, the Booth School of Business, the Law School, the School of Social Service Administration, the Harris School of Public Policy Studies, and the Divinity School. The university currently enrolls approximately 5,700 students in the College and around 15,000 students overall. 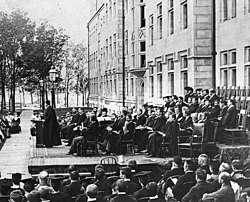 University of Chicago scholars have played a major role in the development of various academic disciplines, including: the Chicago school of economics, the Chicago school of sociology, the law and economics movement in legal analysis, the Chicago school of literary criticism, the Chicago school of religion, and the behavioralism school of political science. 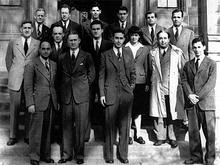 Chicago's physics department helped develop the world's first man-made, self-sustaining nuclear reaction beneath the university's Stagg Field. Chicago's research pursuits have been aided by unique affiliations with world-renowned institutions like the nearby Fermi National Accelerator Laboratory (Fermilab) and Argonne National Laboratory, as well as the Marine Biological Laboratory. 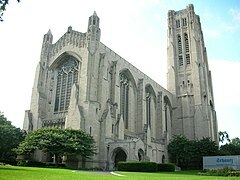 The university is also home to the University of Chicago Press, the largest university press in the United States. With an estimated completion date of 2020, the Barack Obama Presidential Center will be housed at the university and include both the Obama presidential library and offices of the Obama Foundation. 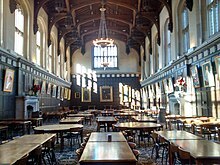 The University of Chicago has many prominent alumni. 89 Nobel laureates have been affiliated with the university as professors, students, faculty, or staff, the fourth most of any institution in the world. In addition, Chicago's alumni include 50 Rhodes Scholars, 22 Marshall Scholars, 9 Fields Medalists, 20 National Humanities Medalists, 13 billionaire graduates, and a plethora of members of the United States Congress and heads of state of countries all over the world. 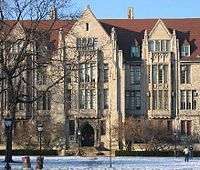 What are the academic rankings for University of Chicago? 1. number 10 for Academics. 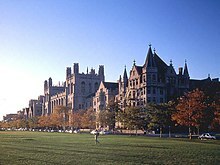 What universities are similar to University of Chicago?